Utilizing a military-inspired behind-the-neck design, skirmishes become immersive as you go head-to-head with hostiles on Xbox LIVE. Lightweight, comfortable, and complete with an adjustable neckband boasting foam-rubber inserts for a custom fit, the Throat Communicator provides hands-free messaging for warriors of all sizes. Resting comfortably on the back of your neck, the Throat Communicator delivers the freedom to focus on mission-critical objectives. 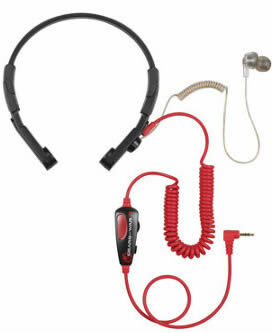 The Throat Communicator's comfortable, adjustable neckband (A) helps it accommodate a wide range of neck sizes. Just add or remove the included foam-rubber inserts (B) to create a personalized fit. The convenient in-line audio controller features integrated volume and mute controls. Adjust either on-the-fly and take total control over all your conversations.